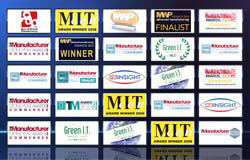 Material Solutions implement 123insight in just two months. Founded in 2006 after receiving DTI and AWM funding, the company wanted a system to run their manufacturing from the outset., based on the directors' previous experience. They saw 123insight at Sheffield Hallam Uni, and were live on the system within two months of starting implementation. They are using 123insight's CRM capabilities to implement some of their QA systems, and the system is now a core part of their accreditations for aerospace, automotive and medical industries. You can also download the PDF Case Study.